Pop Star Meghan Trainor Has Assured Her Legion Of Fans That She Is Well On Her Way To Recovery After Suffering A Vocal Cord Haemorrhage. 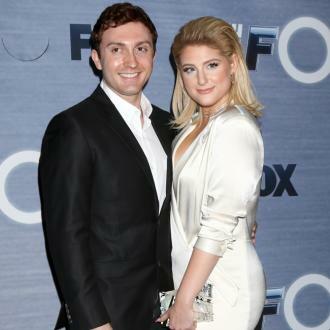 The All About That Bass hitmaker cancelled a string of U.S. tour dates, including an appearance at Michigan's Common Ground Music Festival, earlier this week (beg06Jul15) after she was diagnosed with the condition. Trainor took to Twitter.com on Wednesday (08Jul15) to tell her followers that she had visited a specialist who gave her a positive prognosis. She writes, "At the doctors thinking of you guys... Good news! Doctor said I'm healing and my cords look WAY better." Trainor is the latest in a long line of stars who have suffered with vocal problems recently, including British pop star Sam Smith who underwent surgery on his throat last month (Jun15).